The cache is not at the posted coordinates. This is the tenth in a series to help people get a start at solving puzzle caches. I tried to make these easy to understand, but if you have any questions about them, please ask. This cache talks about two techniques that can be used on a cache page to hide a puzzle, its hints, or even the solution itself. (1) Press CTRL-A (hold down the CTRL key and press the A key) to highlight the entire page. (2) Use your computer mouse to hightlight sections of the page by holding down the left button while dragging the cursor over the part you want to highlight. White font can be used to add numbers or words anywhere in the cache description, often7between3sentences or8words. 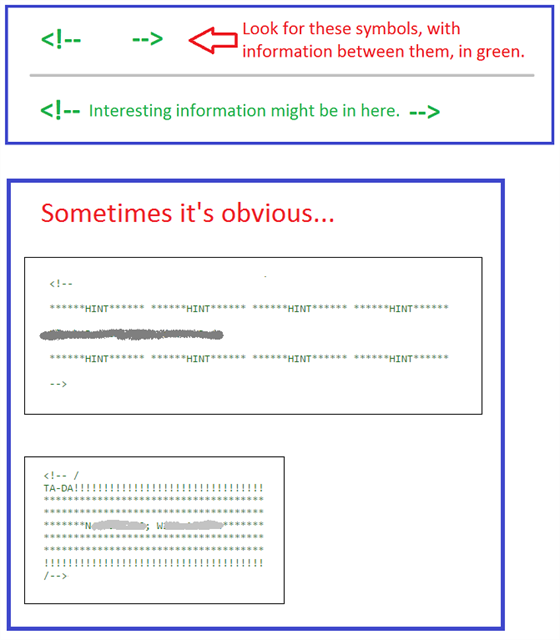 To me, looking at a cache page's source code is like looking under a car's hood. You can see the nuts and bolts of the page's HTML (HyperText Markup Language). HTML is a collection of text and codes used to control the appearance of information on a web page. 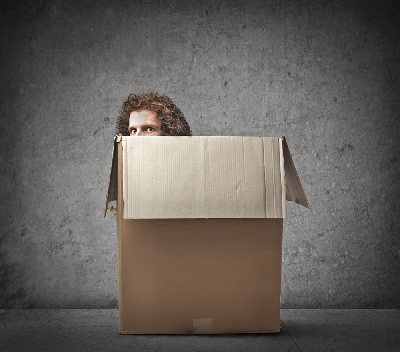 A cache owner can hide things in the source code that won't appear on the cache page. If you use a PC, an easy way to look at the source code is to press CTRL-U (that is, hold down the CTRL key and press the U key.) Another way is to right-click on the page and choose from the menu that pops up. Different browsers have different menus. Now you try it. 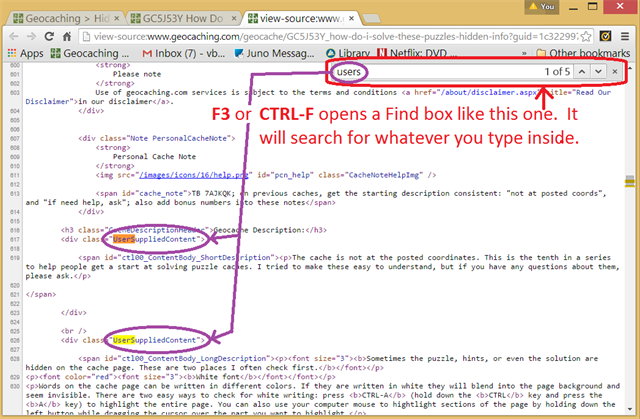 Search this cache page's source code to see what additional info you might find hidden therein. As I said, this is one of a series of "How Do I Solve..." caches. They are spread out in different neighborhoods. It might help to solve them in order, but you don't need to. I tried to make these easy to understand, but if you have any questions about them, please ask. Here are all the caches in the series. They are also posted in a "How Do I Solve These #@&%$ Puzzle Caches?!!" bookmark list. 1. GC5HFTZ - How Do I Solve These #@&% Puzzles?!! Intro Intro. Puzzles can be fun. No - really! 2. GC5EQV9 - How Do I Solve These #@&% Puzzles?!! Start Easy Where do you start? Start with easy puzzles! 3. GC5HJ70 - How Do I Solve These #@&% Puzzles?!! Start at End How do you start? Start with the end in mind. 5. GC5DQ9M - How Do I Solve These #@&% Puzzles?!! Patterns Look for patterns, and anything that's awkward, unusual, or out of place. 6. GC78KAK - How Do I Solve These #@&% Puzzles?!! Subst Ciphers Solving substitution ciphers. 8. GC7AF6Y - How Do I Solve These #@&% Puzzles?!! Number Bases Different number systems and bases. 9. GC5J529 - How Do I Solve These #@&% Puzzles?!! Web Searches Search the internet for information and images. 10. GC5J53Y - How Do I Solve These #@&% Puzzles?!! Hidden Info Two ways to hide info on a cache page - White Font and Source Code. 11. GC5JGNC - How Do I Solve These #@&% Puzzles?!! Pictures Five ways to hide information in images. 12. GC5HYEF - How Do I Solve These #@&% Puzzles? Cache Page Tips There are many ways to hide hints, and even the puzzle itself, in places other than the cache description. 13. GC7F6PH - How Do I Solve These #@&% Puzzles?!! Map Tricks Tips on using maps and coordinate checkers when solving puzzles. 14. GC5JA76 - How Do I Solve These #@&% Puzzles?!! Use Tools Start building your puzzle-solving tool kit. 15. GC5J5PP - How Do I Solve These #@&% Puzzles?! Still Stumped? If you've tried all these tips and tricks, and you're still stumped, here are a few more things you can try. 16. GC5J52X - These #@&% Puzzles - Graduation Bonus Cache Congratulations! You've done it! Here's your bonus graduation cache! Important Note: Be sure to get the bonus numbers from each cache in this series. You will need those to get the coordinates for the These #@&% Puzzles - Graduation Bonus Cache . [Puzzle] Obgu grpuavdhrf ner hfrq gb uvqr gur fbyhgvba. How Do I Solve These #@&%$ Puzzle Caches?!! 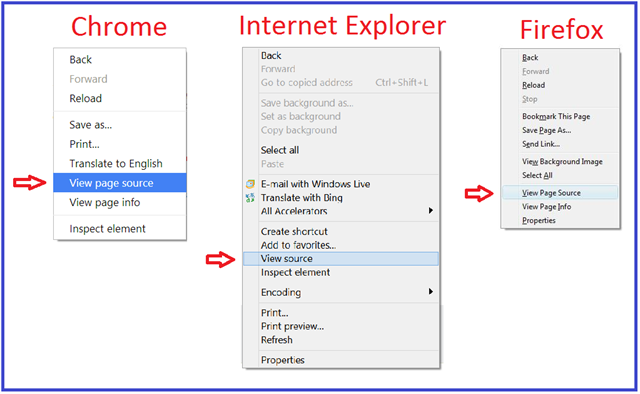 Menus to View Page SourceDifferent web browsers have different menus. More Menus to View Page Source... for iMac users using Safari. Source Code CommentsLook for these in the source code. Use the Find boxEnter "users" to find the UserSuppliedContent.